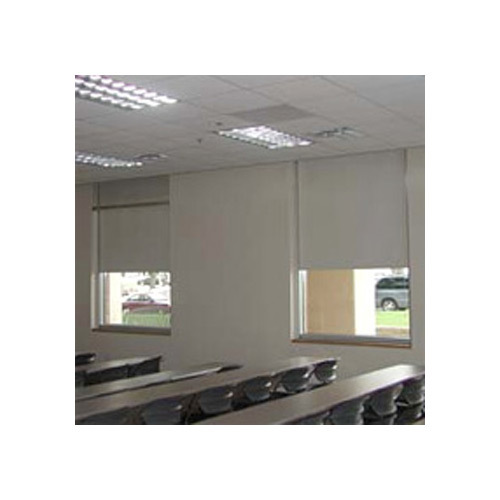 Brite Inc.'s Duraglass 12 oz, 4-ply fiberglass room darkening window shade is specifically designed for schools, institutions, classroom and dormitory room use. With its heavy duty spring roller the Duraglass shade stands up to the everyday rigor of a heavy used environment. Our shades come standard with 1-1/4� wood spring roller and increase to a metal roller for the larger shades. Metal rollers are available on most all sizes over 30" in width. Established in 1946, Brite Inc. specializes in custom window shades designed to your specifications. Whether this is your first time ordering window shades or you are an "old hat", we are here to help make the process quick and easy. Looking to find out how much to deduct for the hardware or what brackets to use, we can help. Our Duraglass shade material is inherently flame retardant and will meet or exceed most all fire codes and regulations. Please call Brite Inc. today for details and assistance. No quantity is too large or too small and volume discounts are always available.